That was your question while we were walking around Bonifacio Global City in Taguig one weekday after work. 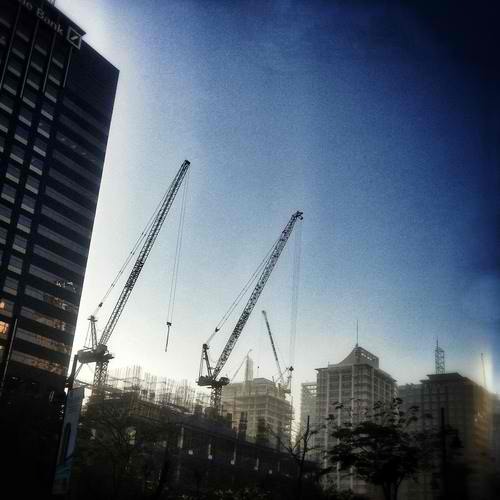 “I would be one of those cranes,” I said while pointing to the construction in front of us. You stopped walking and faced me puzzled. “Cranes aid you in building that dream skyscraper. It helps you work on the reinforcement better. It facilitates the otherwise complex task of completing that tower, ” I answered. I paused for a while to take a deep sigh. “No, you are not that crane. You are something else for me.” Your eyes met mine. You smiled and we continued walking.